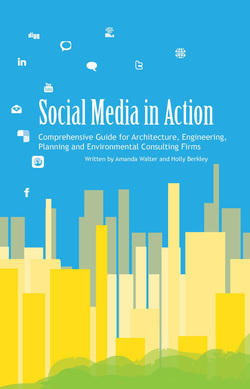 Written by two industry experts, Social Media in Action was developed exclusively for Architecture, Engineering, Planning and Environmental Consulting Firms. 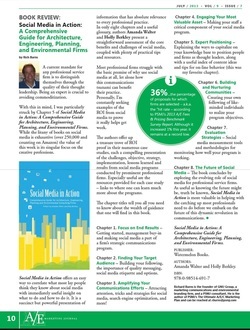 This social media marketing book is the first of its kind, as it deep dives into the AE industry and its use of social media by providing expert analysis of the current online marketing and social media strategies happening right now, in the industry. Throughout the book, you'll learn what is working and what is not, as well as new ideas that should and will be implemented in the near future. You'll also get insight into industry specific case studies, interviews with industry leaders and a communication action plan specific to your business goals and objectives. Would you like your book signed by the author? You will have the option to request, after check out. Social Media in Action authors Holly Berkley and Amanda Walter were recently interviewed by Sarah Kathleen Peck in her article "The Need for Communication". 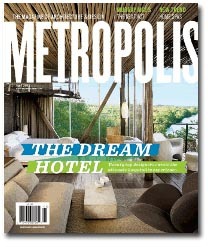 The article appeared in MetropolisMag.com. Read full story here.